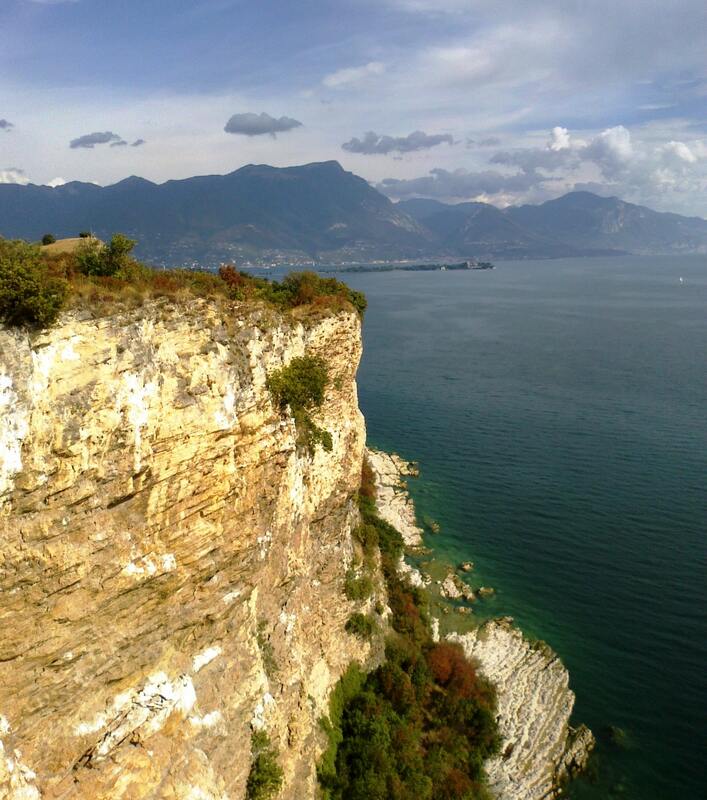 Join Matteo, UIMLA certified mountain leader, in a stunning afternoon hike at Lake Garda. An easy and beautiful activity suitable for the whole family! 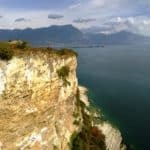 I invite you to a beautiful half day hike along the coast of the largest lake in Italy. In the north of the country we find the famous Lake Garda, perfect for a hiking adventure. Rocca di Manerba, the Manerba Fortress, is a huge highlight of this trip. Indeed, it forms a natural balcony over Lake Garda. This allows for incredible views. The hike will take place at sunset in order to enjoy the views with the best colours. During this trip, we also have a wine and local products tasting. We will stop for this at the summit of the Fortress. I will organize this delicious tasting. When in Italy, eating and drinking is always part of the experience! The path goes through some remote spots of the Parco Archeologico e Naturalistico della Rocca di Manerba. 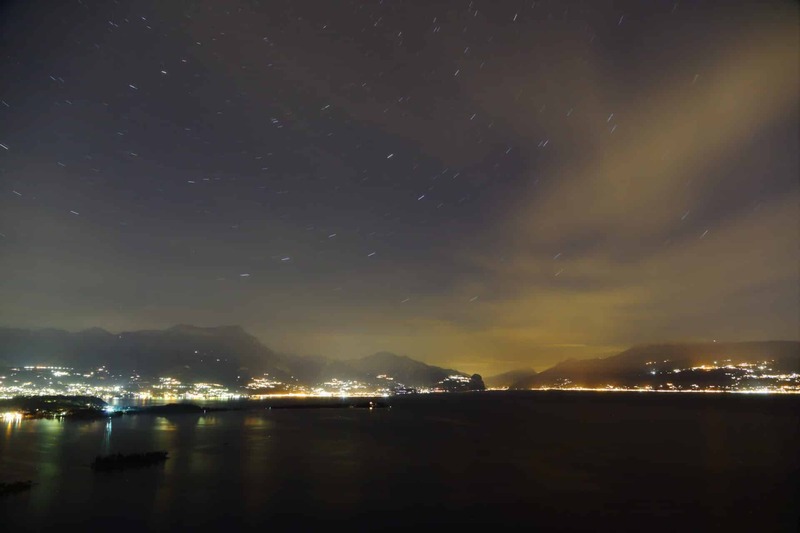 We start at the foot of the cliff to then continue between the small harbour of Dusano and Punta San Fermo. This route ends on top of the famous Rocca. This is an easy hike, suitable for families. It will take 3 hours and in total we climb up 150m. During the afternoon we will walk 6km. 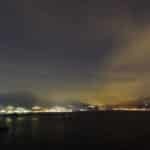 – There are great views of Lake Garda South and gentle moraine hills. If you are looking for a more demanding hike in the area, I also offer this Hike to Mount Pizzocolo in Lake Garda. Check it out! Do you find this half day hike interesting? Then please contact me for more information! Price for groups from 9 to 15 people: €31 per person. The tasting is included in the price. 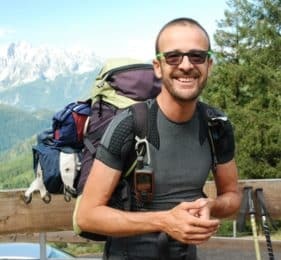 I was born in the flat Po valley, but I have always loved the mountains and wide open spaces; my dreams come true in 2004, when I became a mountain leader. Then in 2010 I became International Mountain Leader. Now my job is in a Trekking company called "MilleMonti". In all of my travels, I try to be true to the original spirit of curiosity and amazement that I've always felt when I am in the mountains and with this enthusiasm I lead the customers who travel with me. I live in Italy, in Brescia, in the region of the great Italian lakes (Lake Garda, Lake Iseo, Lake Como). I like to make people discover this wonderful area, but also the most extraordinary places we could find in my homeland. My destinations are Alps and Dolomites, as well as Italian islands, the Cinque Terre, the Gran Sasso and the National Park of Abruzzo. If you meet me in the mountains, you can call me "Mammut".